My guild rolled the dice on our first try at heroic, but all the big guns burned out in phase 1. From lower tiers, we tend to fly after phase 1, so looking for help on getting over that hill. Random toons: Fulcrum, AA, R2, Biggs (but not wedge yet); BH: AS, BF, CB, Greedo (Bossk work in progress). I tend to use Phoenix phase 2, FO phase 4. Any advice on ftp farmable toons to get the guild a head start on phase 1? 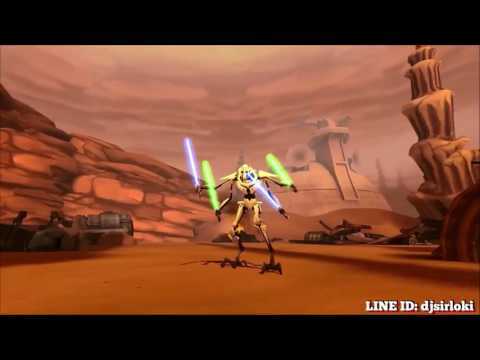 I believe zeta kylo ren can do p1 by himself, it just requires escaping before grievous reaches enrage and then going in again. rinse repeat. try searching on YouTube for it there's probably some videos there. CLS + Han Solo can clear it, IF you or a guild mate have them. In phase 1 in heroic you should never lose a character when trying to get the raid on farm. Retreat trick is very important. Here is a video explaining the retreat trick with masked kylo. Zavage can do the same thing. It goes much quicker with cls though. This. If any of your guild members have those 3, he can solo the phase. Make sure to keep buff imunity on Grievous and don't use Han's stun on Grievous (unless you are absoloutely sure, it's not the 7th attack). In my experience adding Rex and QGJ to the team makes it easier to solo the whole phase (until your other 3 chatacters are well geared and modded). Does anyone in your guild have C-3P0 at rank 7? 3P0, zFinn, BB8, CLS and Zolo can solo the whole raid. Alternatively, Ackbar lead, BB8, Thrawn/HY, CLS and zAsajj can solo fases 3 and 4. Some in guild have cls and done have raid solo. Not sure who had both. I was short of toons for cls this time, but may go all out on them ready for next time. Had been working on OR, but too slow to farm I think for next revan anyway. 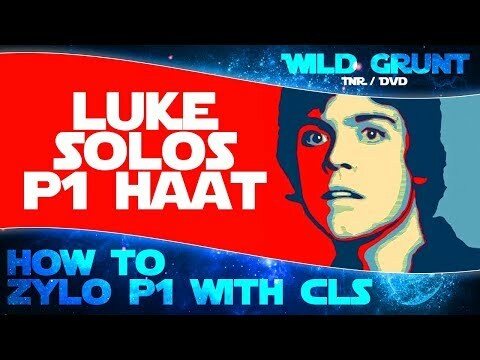 You must use CLS alone for phase 1 of HAAT, with multiple escapes. This will clear the hase with zero characters dead. Start your escape attempts when enrage has a cooldown of 8-9. Phase 1 haat cls retreat trick. Yeah I agree with the post about using only cls. Retreat when possible. If one guild mate can do the whole phase with this method you won't lose any toons. I did this for two months until others learned. Then needed 5 or 6 finn lead resistance to get through phase 2 if each player get their 20%ish. Then the akbar lead thrawn, bb8, cls, ventriss. To get phase 3 and all or allot of phase 4. Sometime rng won't let cls escape. But start trying when you get 7 on the enrage counter. ABC + Thrawn + Asajj/YOLO can finish the rest. I do it with Brotini; Dathcha, CLS and Han. I think they upgraded GG. After the rework because now I can't clear it with that team. KRU got whacked.